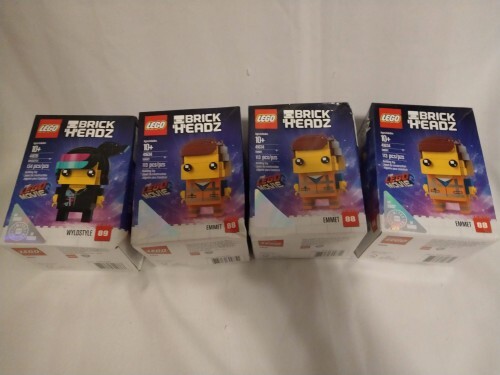 I've got 3 Emmet Brickheadz and a single Wyldstyle that are beat to hell (thanks Walmart and UPS/FedEx) anyway I'll sell them for $30 each if anyone is interested. I'll ship for free domestically. Or you can get all 4 for $100.00 shipped.